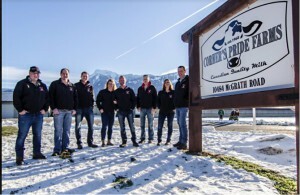 Corner’s Pride Farm (CPF) will become the largest Canadian member of the Lely red cow community in the second quarter of 2017. 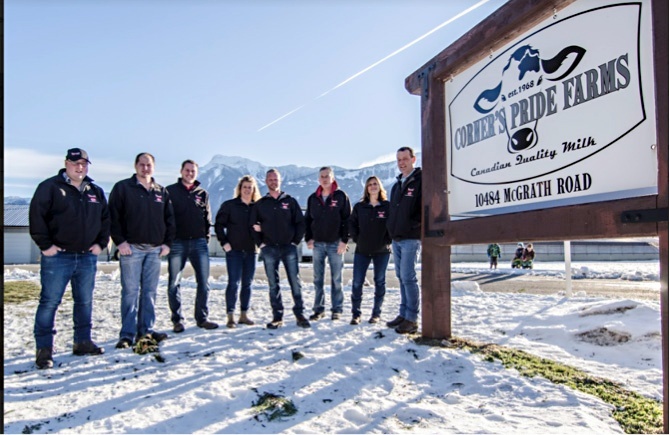 Lely Center West Coast Robotics, together with Lely North America (Lely NA), are proud to be working with Corner’s Pride Farms Ltd. near Rosedale, British Columbia. Lely recognizes dairy XL operations that have eight Lely robots or more by presenting them with a “red” Lely cow to display on their farm to signify their partnership into the red cow community. Corner’s Pride, who has been considering adding robotics for some time, examined many dairy robotic competitors before choosing Lely. Corner’s Pride partners toured many Lely operations and spoke with owners and staff about the benefits of Lely automated equipment. All of the partners took an active role in the decision process. The Fraser Valley labor market has been a challenge for the farm. Corner’s Pride has been managing shifts throughout their 22-hour work day. They are looking to redirect their time away from recruiting and training in-turn to maximize staff abilities, manage the farm enterprise and optimize the herd. In addition to reducing labor issues, Corner’s Pride wanted local support that provides great service and information. The partners felt that West Coast Robotics has a great reputation for being committed to robots and finding solutions to problems and dealing with issues quickly. CPF feels they have true partners in this investment. Learn more about other dairy XL operations and the Lely red cow community at www.lely.com/dairyxl or at www.westcoastrobotics.ca/.